Keste, an award-winning software solutions and development company and Platinum Level member of the Oracle Partner Network (OPN), has attained Oracle Cloud Excellence Implementer (CEI) status. The CEI program was launched during OpenWorld 2017 as part of Oracle’s commitment to customer success on cloud applications and is a win for everybody involved. For Oracle, the program recognizes Partners who stand out as an extension of Oracle itself. Partners who fulfill the strict requirements for each Oracle module – Gold or Platinum partner status, consultant certification, ongoing training, and verified customer satisfaction surveys – are differentiated in the market. Finally, Oracle customers looking for a consulting partner know that the CEI designation proves both implementation experience and validated superior customer satisfaction that goes above and beyond. The CEI designation rewards Keste’s dedication to deliver an outstanding customer experience and recognizes the ongoing commitment to deepen our cloud-centric applications expertise. Read some of our cloud success stories here. For more information on the CEI program, visit http://www.oracle.com. For more information on Keste, visit us at www.keste.com. 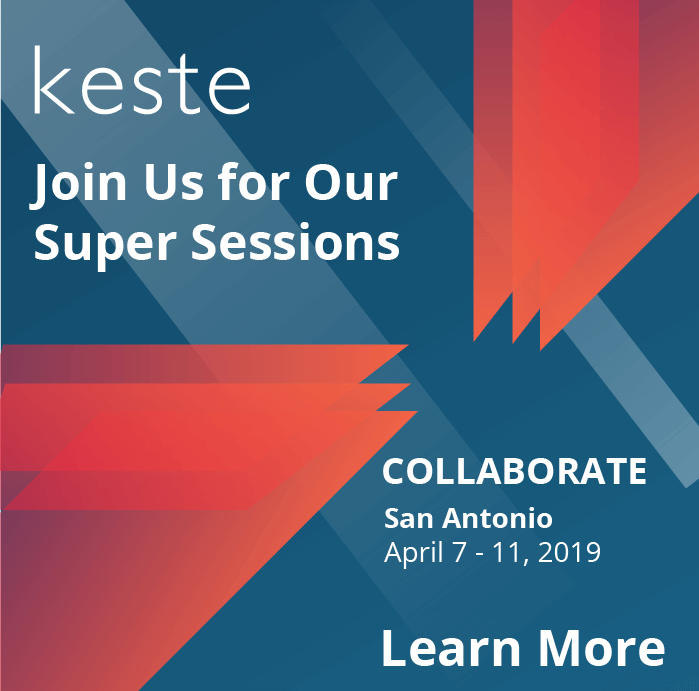 Keste is a Platinum level member of the Oracle Partner Network (OPN) and 7-time winner of the Oracle Specialized Partner of the Year award, most recently for Cloud Innovation.